Several weeks ago, I wrote a post about the pros and cons of Swarovski Discounts and how discount prices relate to the Swarovski Warranty policy. In a very brief summary, the article basically states that if you buy your crystal figurines online from a discount source (not an authorized retailer with a brick and mortar store), you may very well have sacrificed the post-sale service and ability to use the warranty service if the figurine should have defects or accidentally break. Several days after the post, I received an email from a Swarovski boutique manager with his perspective about the crystal brand’s warranty policy changes. With the author’s permission, his email is being posted for collectors to consider the Swarovski discounts and Swarovski warranty from a different angle…..
As a Swarovski Boutique Store Manager for many years, my perception of recent changes to the repair process, as distributed to Swarovski Boutiques, seems more accommodating to clients. Prior to the recent guidelines, customers were asked to contact customer service directly if an exchange or refund could not be made in the store. Consumers were responsible for calling customer service and mailing a package themselves, once the return authorization paperwork was received. The present guideline for repair allows consumers to bring a qualifying item requiring repair directly to the boutique. This year I have acted as a liaison between customer service & the consumer, as directed by the stores directions for repairs. Per the guideline, I have sent items from other sources of purchase. It has been a pleasure to connect with clients offering this service. In the rare event I cannot immediately offer a solution in the store, I have enjoyed offering solutions and sharing the client’s delight when they return to the store and pick up a refurbished item. For myself, the Swarovski Boutique has evolved into a service center, or point of contact beyond customer service, as Swarovski continues to evolve. I have perceived all customer service documents as ‘guidelines’. Each customer I interact with has a unique situation I can address in the most appropriate way. At times I have found it necessary to ‘make a partner’ for exceptions, but I am confident we have achieved a high satisfaction rate. With any business, the guidelines may change at any time, but I for one, am comfortable with these improvements. Hopefully, this manager’s information and perspective will help Swarovski collectors and buyers make the best choice for source and price when considering upcoming Swarovski crystal purchases. A special thanks to the Swarovski boutique manager for allowing us to share his email with our Kristall Buzz readers! Swarovski Crystal Books at Discount Sale Prices! Some Swarovski collectors are satisfied to purchase older Swarovski books and save some money so that they can afford to buy more Swarovski crystal! 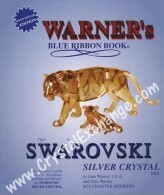 Crystal Exchange America has a 2010 Swarovski Silver Crystal Book Buy-It-Now auction listed now on eBay. They also have a 2010 Swarovski Beyond Silver Crystal Book Buy-It-Now auction listed now on eBay. The Swarovski book publications are not pre-owned and have not been used previously. The Swarovski books are leftover inventory. Since the information in them is based on 2010 research, the Swarovski ERV Values are 2 years out of date, but would work well to inventory a collection that may consist of only older pieces. And of course any Swarovski Crystal figurines released in 2010 and later are not included in the book. 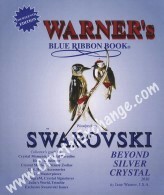 The Swarovski books: Warner’s Blue Ribbon Book on Swarovski Silver Crystal and Warner’s Blue Ribbon Book: Beyond Silver Crystal for 2012 can be purchased directly from the authors at wbrb.com . Individual books start at $75 for black and white editions and $150 for color editions. As an online only alternative, Swarovski collectors can purchase subscriptions to the Swarovski database by the Warner’s at wbrbonline.com . Annual subscriptions begin at $40 / year. Database subscriptions do require internet access, but can be used from any computer, ipad and possibly smart-phone anywhere in the world. So, any Swarovski enthusiast wanting a fabulous book at an attractive price, may check out these eBay auctions. There are a small quantity and the auctions are only running for 10 days! Last year, Swarovski introduced some figurines in the Happy Ducks group that could have some royal lineage. Since that time, they have added more royal Happy Ducks to the family, so I wanted to do a brief posting on all of these Swarovski Happy Ducks. In 2011, the crystal giant launched the Swarovski Happy Prince Duck and Swarovski Happy Princess Duck. The Swarovski designer for these two duck figurines was Keiko Arai. Both Happy Ducks are still available from Swarovski.com at a retail price of $75. Then, around March, 2011, with the celebration of the royal wedding on April 29, Swarovski produced some limited edition ducks, Royal Wedding Happy Ducks. This pair of Happy Ducks was essentially the Happy Prince Duck and Happy Princess Duck, packaged as a pair with some special etchings, and offered as a Limited Edition in the UK. (Check out the out the article on the Kristall Buzz for the Swarovski Royal Wedding Happy Ducks for more information on them). The Swarovski Royal Wedding Ducks can be found at an attractive price on ebay for about 2 more weeks. The ebay item # is 140735067314. At the beginning of the year, they crystal brand realigned some figurines into different product lines. So effective Jan, 2012, the Swarovski Happy Ducks are now Lovlots Happy Ducks. The CrystalExchange.com has a complete list of Lovlots Happy Ducks on their web site. Now, in 2012, Swarovski has created yet another pair of royal Happy Ducks. But it is not the King Happy Duck, nor Queen Happy Duck. This new couple of Happy Ducks is the Swarovski Sir and Lady Happy Ducks. The Swarovski designer for Sir and Lady Duck is Verena Castelein. 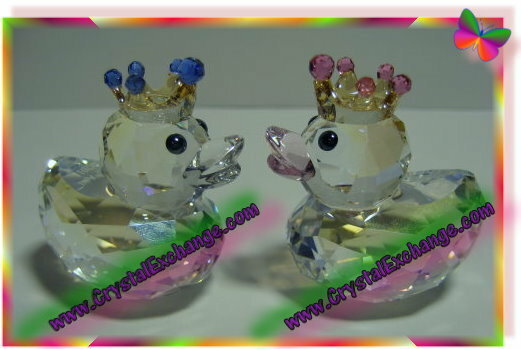 These royal ducks are available at Swarovski.com at a retail price of $150. Perhaps all these Swarovski Crystal Happy Ducks should get together for a tea party!